This is localized Unicode Marathi library management software. It is developed using Excel. It has features such as Book issue,Book return,Book search, Book info, Author info, Publisher info etc. 7.This is a freeware product from Intellisoft, for warranty & limitations please go through agreement and edition comparison chart. 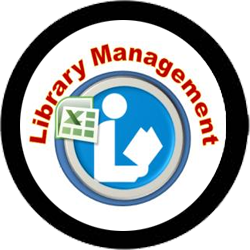 click on "Library Management Xls"
We have Successfully installed comemercial "Library Management Software SQL - Barcode" for Shri Hirachand Nemchand Wachnalay, Solapur. 1. Hirachand Nemchand Wachnalay, Solapur. 3. Purva-Vibhag sarvajanik Library, Solapur. 4. Sant Seva Watchnalay, Solapur. 5. Savarkar Muktadwar Wachanalay, Pandharpur.